It's December 1st! 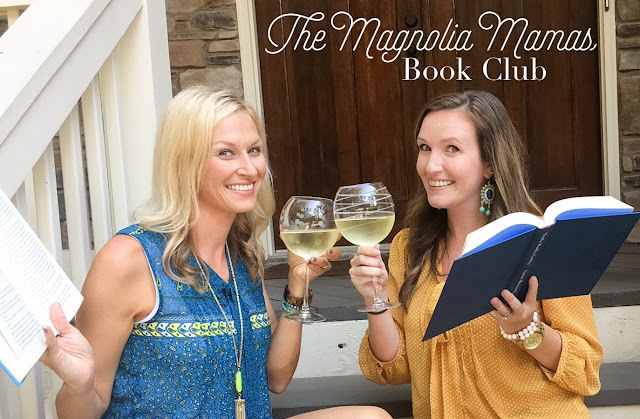 It’s the start of the most magical month out of the year, and... it is BOOK CLUB day! We can't believe Christmas is just around the corner and the new year is on the horizon! Where did the time go?! This year seems like it flew by! We still have one more month to squeeze in some reading for this year, and then next month we will share all of our favorite picks from 2017. We think we know our top contenders, but you never know what surprise reads might get us these last few weeks. We have so much to do, and our calendars have seemed jam packed these last few weeks, but we still managed to squeeze in a bit of reading during this busy time. We can't wait to share this month's books with you! Over Thanksgiving Break we took a family trip (more on that next week) and I had such high hopes for squeezing in some reading time that I brought 3 books with me! What a joke. I only read a few chapters because, well...kids. Someone always needs something and I know all you mamas can relate. I've actually read more when I got home from that trip. 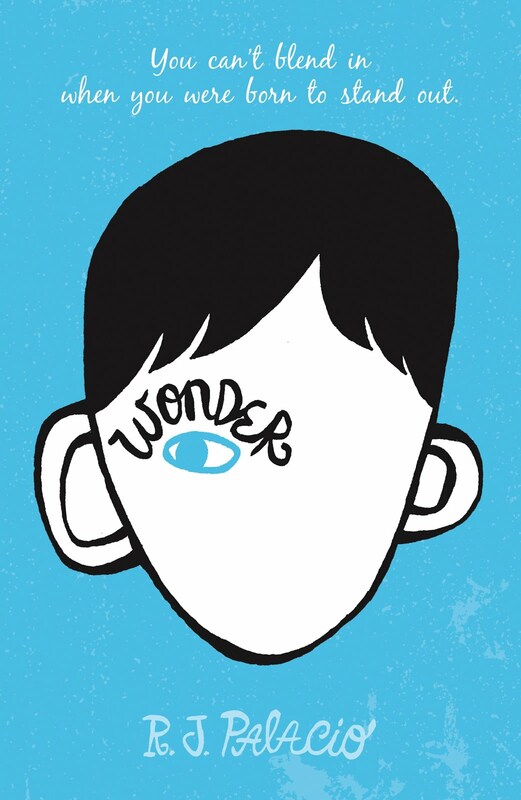 My daughter's class has been reading the best seller, Wonder, by R. J. Palacio and they are going as a class to see the movie next week. I wanted to read it before I went with her to the movie so started the book this week. It is SO, SO good. I find myself turning the pages so eager to find out what is happening next. Although it is a book geared towards kids, I think everyone would enjoy this and should read it! I can't wait to finish it up and see the movie! November was a whirl wind. I feel like I blinked and life came at me from every angle. The holiday break slowed things down a bit and fortunately I was able to relax at our cabin for a few days and sneak in some good reading. Otherwise my readings for the month would have been google articles on topics like "How to get your kids to sleep...on their own? ", "How to get your kids to sleep in their own bed? ", "What happens if you toddler eats dog food? ", or my personal favorite, "Why do kids need a snack at 4a.m.?". Even though some of those ponder life's greatest mysteries, not highly entertaining. Melanie Shankle's book Church of the Small Things, though - highly entertaining! I just love reading Shankle's books. They are always fun to read, and always make me laugh out loud. She has a way of writing that makes you feel like you are sitting down and speaking to a really good friend. 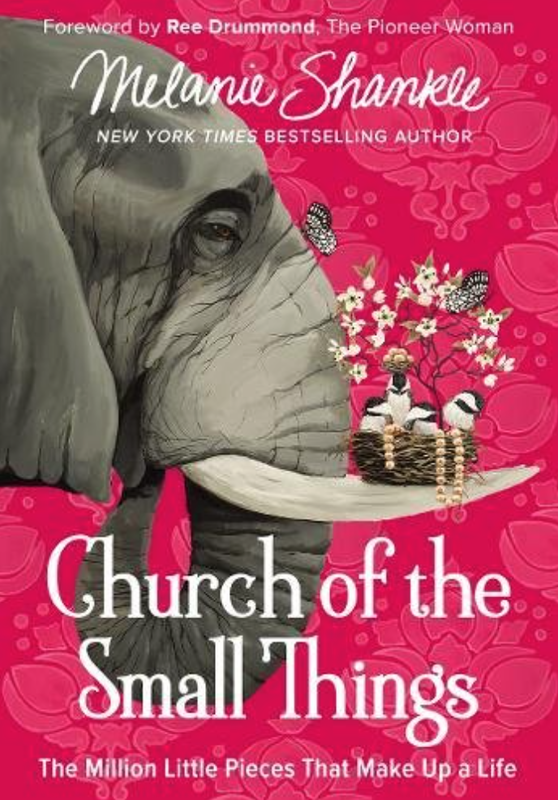 Church of the Small Things followed suit, and was just as good as her previous novels. It is a book about all different topics, and the little things in life that, well, make life great. It was a great read, and I highly recommend it if you want a little feel good in your life. Next up was Sweet Tea and Sympathy by Molly Harper. I picked this read simply because it screamed southern to me. And you know we love anything from our beloved south. I also seemed to be on a tea kick last month. This book was F-U-N. I didn't know what to expect, but it was a great surprise. It followed the main character Margot on her journey back to a small town in Georgia following an embarrassing career killing move. When she can't find a job, her estranged father's family reaches out for her to join their family business. Desperate she agrees to head to small town Lake Sackett and the McCready Family Funeral Home and Bait Shack. Did you pause after reading that? I needed to take a moment to wrap my mind around it too. But, trust me, it sets the stage for a fun and hilarious few parts of the novel. You follow Margot on a journey of love, friendship, and unexpected family in this cute little novel. Throw in a crazy PTA member or two, and you have a seriously funny book. 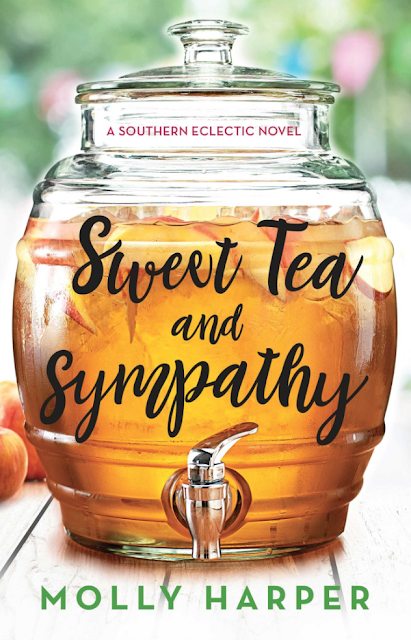 I thought it was a light, quick read and if you enjoy anything with a little southern humor Sweet Tea and Sympathy would be a great pick for you. 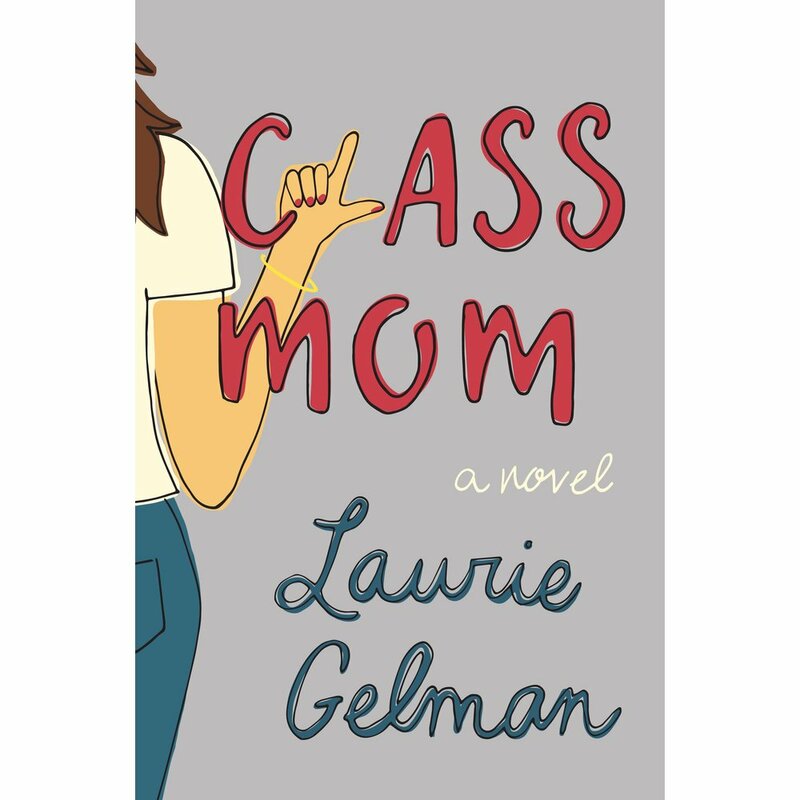 One of the books I brought with me on our trip was Class Mom and I'm still so exited to read it. I know as a room mom, PTA mom, Team mom and all of the other mom responsibilities I have I'm going to be able to relate to this and will probably be laughing myself through it! It's officially Christmas, which means bring on all the holiday things. And that includes holiday reads. I'm kick this month off with this little holiday book I stumbled upon. 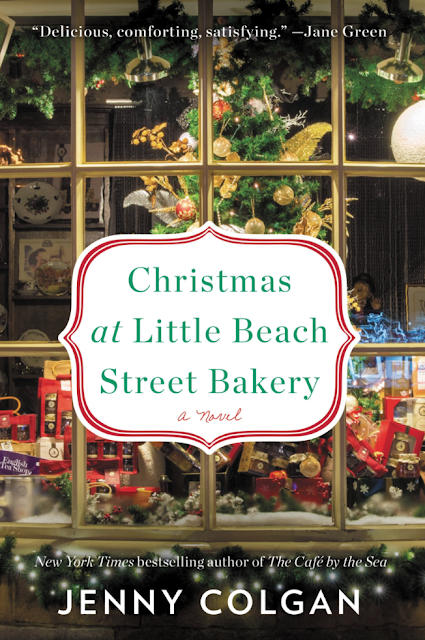 Christmas at Little Beach Street Bakery looks like the perfect way to kick off my month, and I have a few more holiday goodies right behind it. I plan on parking myself in front of the fire with a glass of wine and one of the copious amounts of Christmas cookies I can't stop consuming, and read my way through the month. What should we read this last month of the year? Anything we just have to sneak in before the year is over? What have been some of your favorite books lately? Hey there! Super glad to have found your awesome book list! I'm always looking for a GoodRead, but seldom visit there b/c idk! But this post is what I need to see and read just a bit before selecting! I listed you on #MyPostMonday for last week! Thanks again!